It’s the fourth Wednesday of the month, which means it’s time for The A.V. Club’s ongoing video series with Oregon’s Pickathon festival. While last month we brought in the sunshine with the legendary King Sunny Adé, this month we’re mentally venturing down to North Carolina, where Mount Moriah resides. 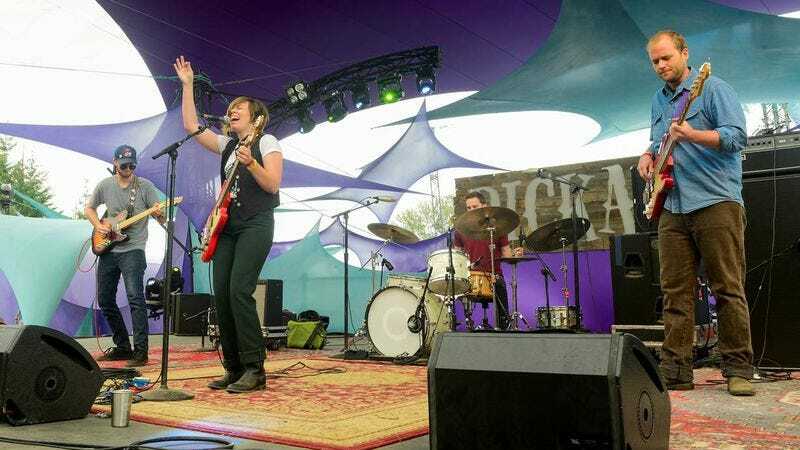 In the clip below, Merge Records artist Mount Moriah takes on its mesmerizing “Cardinal Cross,” performed live on Pickathon’s Mt. Hood stage this past summer. It’s a pretty chill track, though lead singer Heather McEntire delivers her vocals with articulated ferocity. Pickathon 2017 will be held August 3 through 6 in Happy Valley, Oregon.